Today is Thanksgiving in the US. 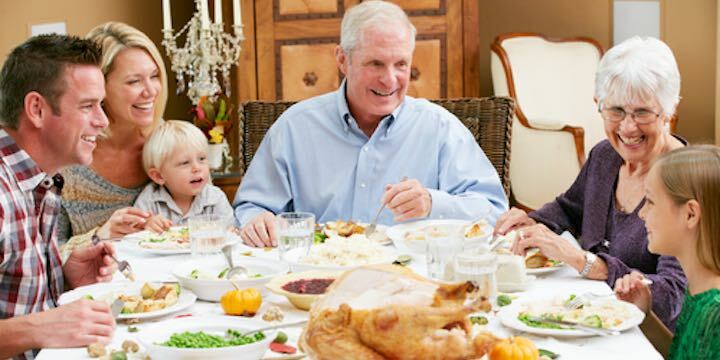 Thanksgiving can have different meanings for different people, but probably the two main emphases are a day for family to get together, and a day to thank God for his many blessings to us. A soft answer turns away anger? As a christian, I think I should try to be sensitive to the beliefs and feelings of others. And that includes atheists as much as anyone else. So I was pleased to see Herb Silverman, President of the Secular Coalition for America, give his 7 Tips for Atheists at Thanksgiving Dinner in OnFaith. There wasn’t anything remarkable in his recommendations, but they showed a peaceful spirit and a mind at ease, and I thought they were worth sharing. Don’t come out as an atheist during the Thanksgiving meal. Don’t spoil the family occasion, but start with one or two more tolerant family members at some other time. Be yourself at the Thanksgiving meal. You don’t have to bow your head. Sit respectfully while others at the table give thanks to God. Demonstrate tolerance for religious diversity. If you’re asked to say the blessing, do it. You can give thanks without mentioning any gods. Turn the blessing into a family affair. Ask others what they are thankful for. If you’re not ready to come out, don’t do it. For his full explanations of these tips, check out his article. Full marks to Herb for sensitivity and good sense. If we want others to be peaceful and tolerant towards us, we should be the same. We can be polite to someone without agreeing with them. Not only at Thanksgiving, but at other occasions. Christians can be as tolerant of atheists as Herb suggests atheists should be tolerant towards christians. Herb is an atheist, I am a christian; we each think the other is sadly mistaken in those beliefs. It would be foolish and dishonest to pretend otherwise. But if we met at a party or family gathering, I hope we could each be sensitive to the other, even if we discussed our differences. And we could do this even thought we each hold our beliefs strongly – in fact I think the more confident we are in our beliefs, the less we need to argue with others. It tends to be that way in Australia, but maybe it can be something to aim at in the US, and on the internet.